+ 1/2 Cup Pumpkin Puree (Frozen) I had a 1/2 cup frozen in a plastic baggie and just ran it under hot water for a few minutes to thaw it a bit. + Place the pumpkin, water, spices, and protein in the blender. 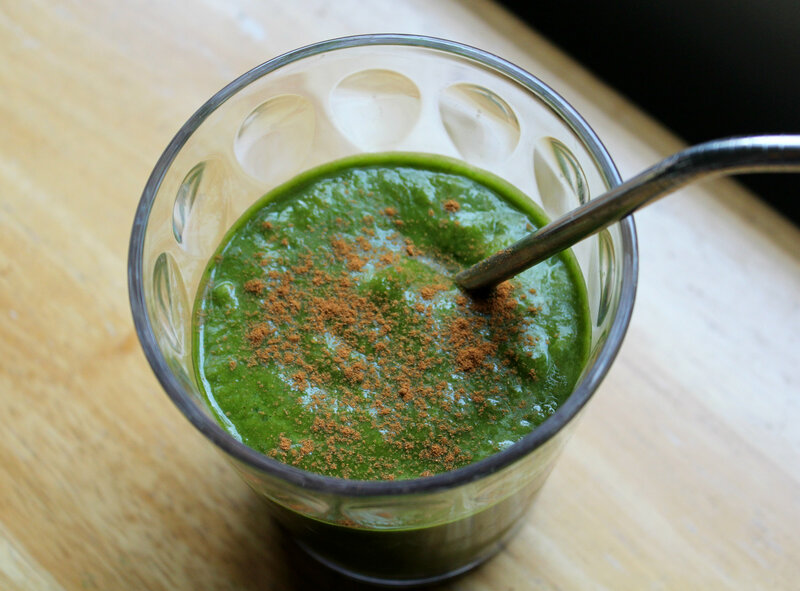 Add you spinach last, and then blend baby blend! 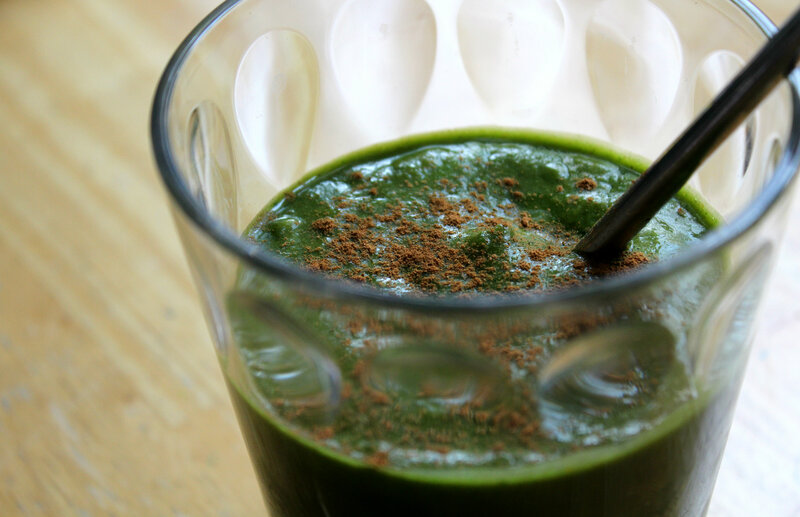 This smoothie comes out so creamy, it is delicious! What is your favorite way to make a Pumpkin Smoothie? Ever try a sweet potato (or other squash) in a smoothie? I am all for it, just haven’t gotten around to trying it out yet! 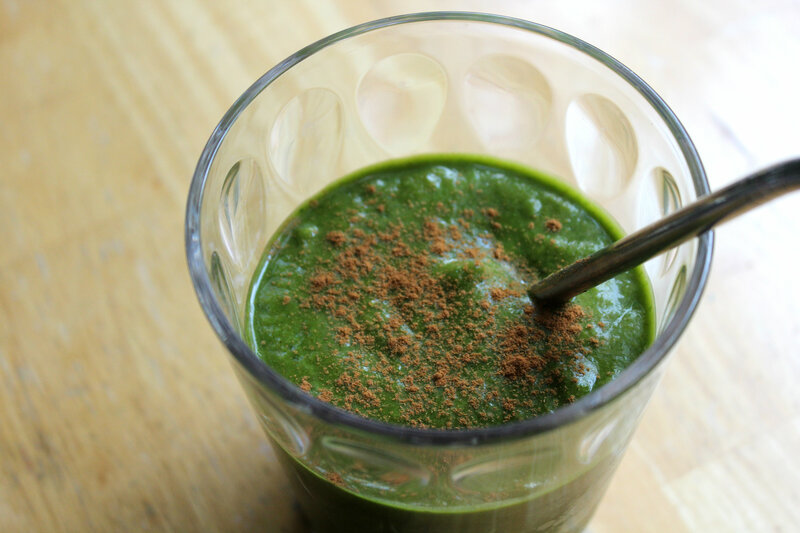 Greens in your smoothie? Always and forever! Stopping by from sitssharefest and I pinned your post to the SITSgirls Fall Sharefest board this morning. Just add a handful to start and add more greens as you get comfortable! Pumpin is something I rarely eat…although I do enjoy it. Vanilla and pumpkin sounds like a great combo! It’s just like a creamy pumpkin pie filling! I can see from the comments that your pumpkin post is a real hit! I too had a limited view of pumpkin for many years, but now I have a new “passion for pumpkins”–from smoothies to soups to desserts! 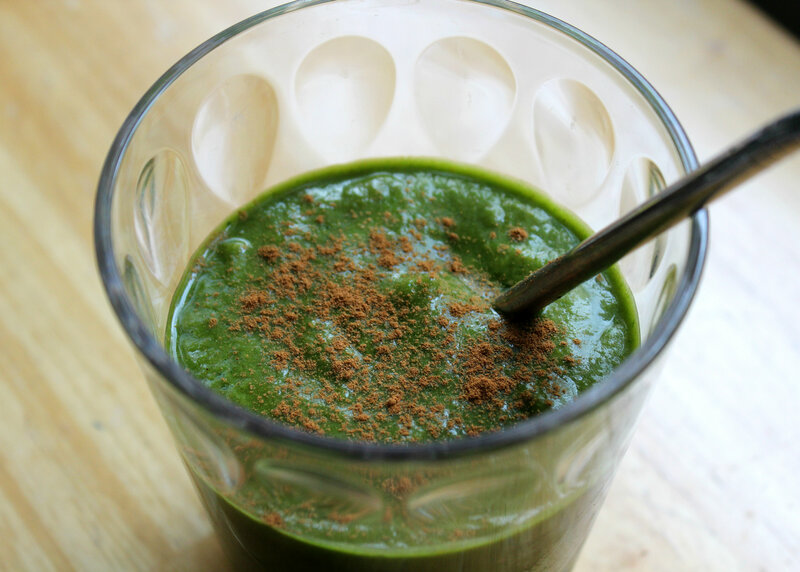 I just made a great pumpkin smoothie yesterday and now I will have to try your recipe as well. Plus the seeds make a delicious seed milk! Thank you again for partying with us at Live it up at the “Healthy, Happy, Green & Natural Party”! I am happy that you were a part of this! Looking forward to seeing your wonderful posts again. Pumpkins are the best! Its crazy when you find a hater. I love making these and sweet potato pie smoothies! I always add spinach – great way to add greens. People are always shocked when you can’t taste it! I’ve also been adding fresh ginger. It’s really good for inflammation and digestion. Oh, I love it. I am going to try it today. I hope you do not mind but I would love to use it on my blog. Of course you will get the credit for it. This sounds delicious, Rebecca! I need to try it! I have only dabbled in smoothie making. I think this might be a good way to sneak in some veggies. It will be kind of weird, seeing green, but tasting pumpkin, but I think it’s a good way to start increasing my veggie intake. And I do love pumpkin!